CITIZEN hatte schon immer eine starke Verbindung zum Tennissport. Das Engagement als Hauptsponsor des großen WTA Damen Tennis Turniers am Hamburger Rothenbaum, welches von 1987 bis 1995 unter dem Namen CITIZEN CUP ausgetragen wurde, ist vielen noch in guter Erinnerung. Auch die langjährige und immer noch andauernde Partnerschaft mit den US Open in Flushing Meadows unterstreicht das große Interesse an diesem dynamischen und technisch anspruchsvollen Sport. CITIZEN wird nun auch aus der Europazentrale in Hamburg als offizieller Timing Sponsor, sowohl das 500 ATPTurnier am Hamburger Rothenbaum, als auch das 250 ATP Turnier in Kitzbühel unterstützen. Beides sind namhafte Turniere mit einer langjährigen Tradition und CITIZEN freut sich als offizieller Uhrenpartner der Zeitnahme ein neues Gesicht geben zu können. Die Uhren von CITIZEN sind bekannt für fortschrittliche und innovative Technik in Verbindung mit hochwertigem Material und sportlichem Design. Auch im Tennis finden sich diese Attribute wieder. Sportliche Athletik, ausgefeilte Technik, neuestes Material und Spielwitz können den Ausschlag über den Ausgang eines Matches geben. Grund genug für CITIZEN sich genau diesem Sport zu verschreiben. 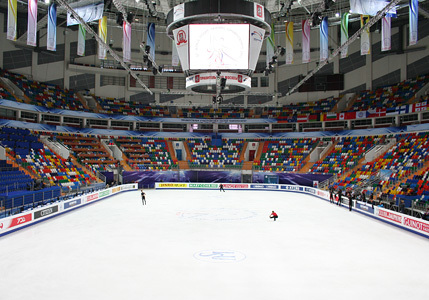 CITIZEN has been continuously supported the international competition of figure skating since 1982, and is the longest running sponsor for the ISU. For CITIZEN, figure skating represents similar ideals and values in their watchmaking. BETTER START NOW, Citizen newly created brand statement which summarizes the ethics and discipline behind the brand. No matter who you are and what you do, it is always possible to make something better and that now is the time to start doing it. Consequently it invented, crafted and improved various technologies and products, for example Eco-Drive technology that powers watches using any light source, and Satellite Wave which receives time signals and position data from orbital satellites anywhere in the world. Working to create new technologies or making its current technologies better and more efficient is the driving force behind the brand. In the world of sports, athletes and timekeepers share a lot in common. 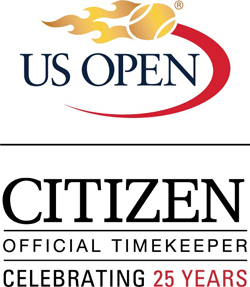 That is why Citizen Watch Company proudly celebrates its 22nd year as the Official Timekeeper of the US Open Tennis Championships. Every year, the two weeks are reserved for the US Open Tennis Championships. This is the season-ending Grand Slam event in men’s and women’s professional tennis; it is the highest profile tennis tournament of the year. 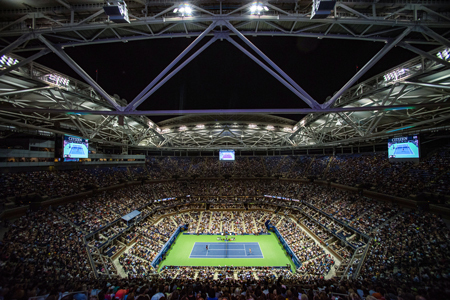 With court-side clocks tracking match time and stadium scoreboards to display match results, CITIZEN plays an integral role every year at the US Open Tennis Championships, and CITIZEN match time displays have recorded the match time of some of the longest Grand Slam matches in history. We are also proud to be the official sponsor of Arthur Ashe Kid’s Day, as well as the Exclusive Timekeeper and Official Sponsor of the Western and Southern Open, and the Connecticut Open at Yale.